The kitchenette is fully equipped with under the counter fridge, toaster, coffee maker, microwave, counter top stove,pots and pans, dishes for four and the propane BBQ off the deck or camp fire to master the art of fine outdoor dining. 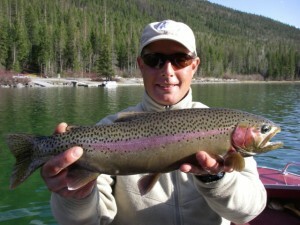 Our friendly staff are available at anytime. We want you to feel comfortable and somewhat pampered. 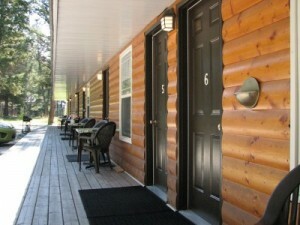 All rooms are Air Conditioned in season..
All sites with fire-pit and picnic table. Firewood at $8 per crate. Satellite Internet hot spot if needed. Spacious sites, grassy and treed next to Springbrook Creek. Tent platforms for your convenience. Use of the summer kitchen. 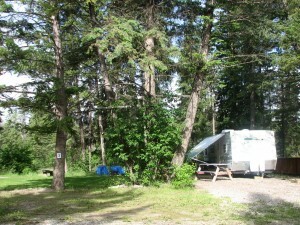 ALL SITES have the use of the family washroom, with shower, toilet and sinks. Our season is May 1 till October 31 (depending on weather). The sites have water, sewer and 30amp electricity. 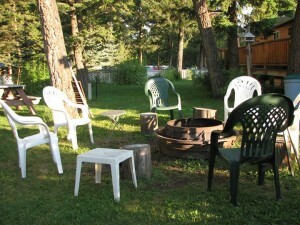 All sites are set up with picnic table and fire pit, gravel pad to park and some grassy area around the fire pit. 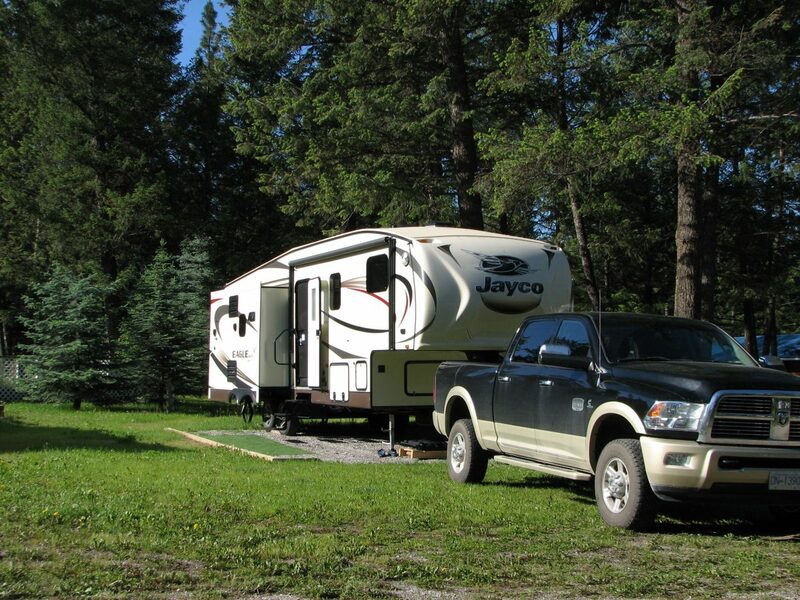 The site will accommodate one RV, one deck the same size as your RV, on road vehicle, and some sites will accommodate a boat or quad on a trailer. Min size of sites 35ft X 70ft. The License to Occupy starts May 1 and finishes Oct 31 of the following year. Payment is 25% on booking with balance, taxes and extras due before April 1. With Free Winter Storage, November till April, on returning contracts.